4Easysoft DVD Copier is a powerful and easy DVD Copier software, which can copy DVD to DVD in 1:1 ratio without any loss of quality, or compress DVD-9 to DVD-5. More additional, it can backup DVD to DVD folders or ISO image files and create DVD from your local DVD folders or ISO image files. It has some more assistant functions: Choose to copy full disc or main movie of the source DVD, select target audio and subtitle, include or skip menu, etc. ...... menu to meet your specific need and edit the volume. Choose audio track and subtitle, include or skip menu are all available for you to set while copying DVD. Qweas is providing links to 4Easysoft DVD Copier 3.3.10 as a courtesy, and makes no representations regarding 4Easysoft DVD Copier or any other applications or any information related thereto. Any questions, complaints or claims regarding this application 4Easysoft DVD Copier 3.3.10 must be directed to the appropriate software vendor. 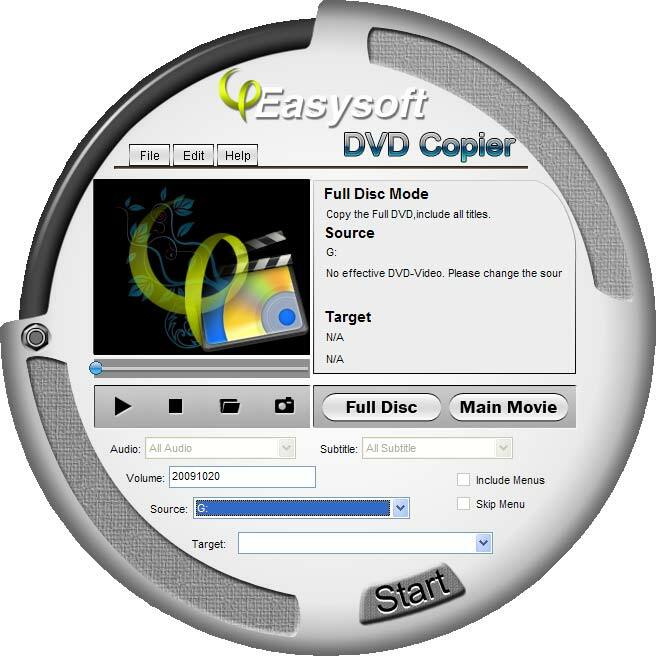 You may click the publisher link of 4Easysoft DVD Copier on the top of this page to get more details about the vendor.